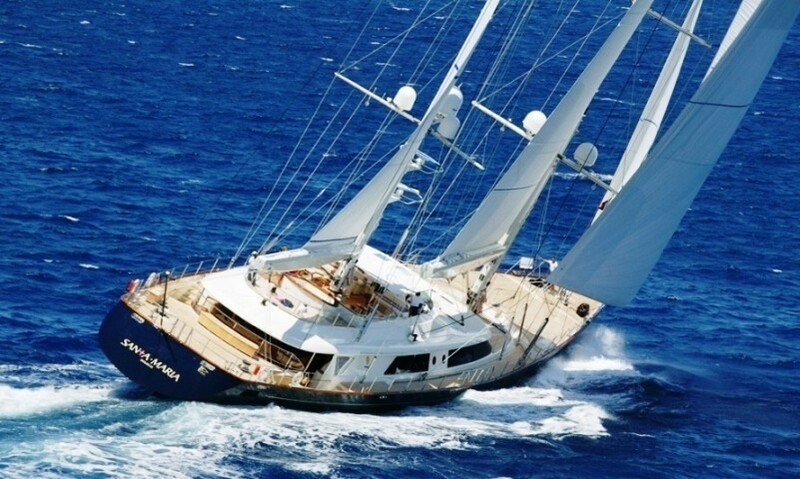 Luxury sailing yacht Zenji (ex 'Santa Maria') was launched in June 2004. 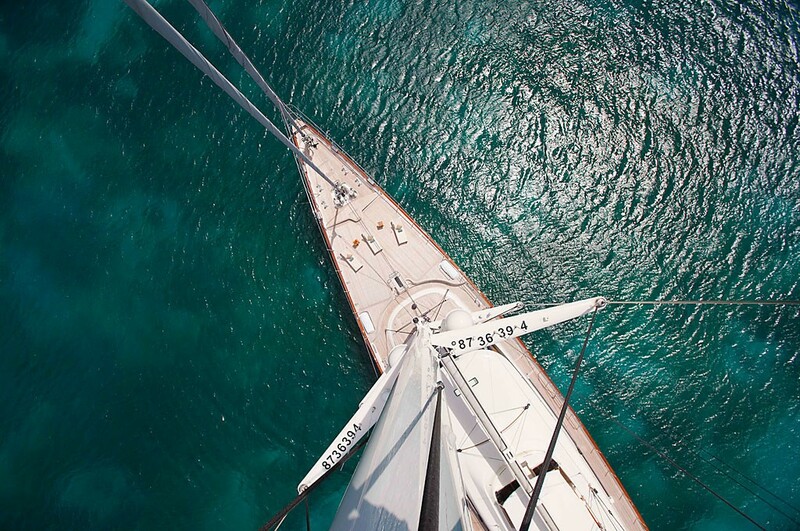 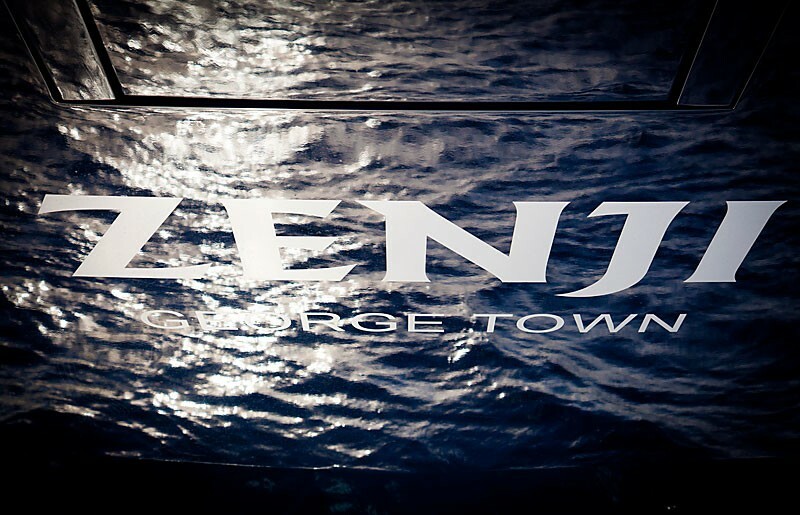 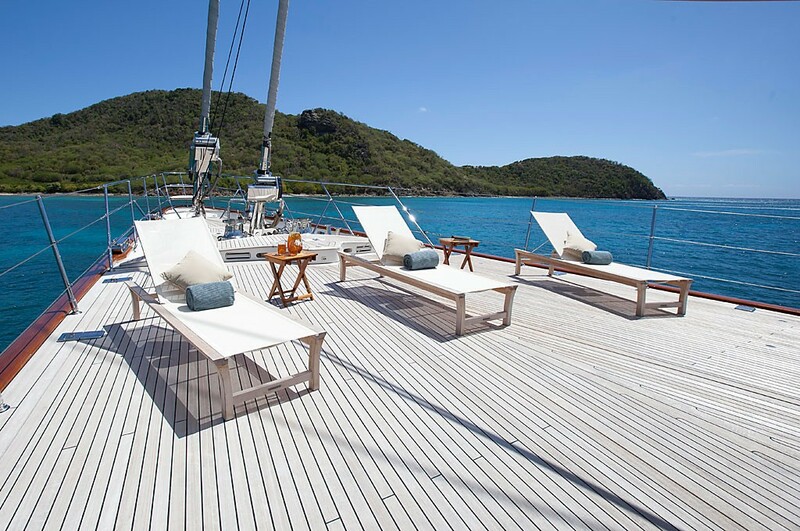 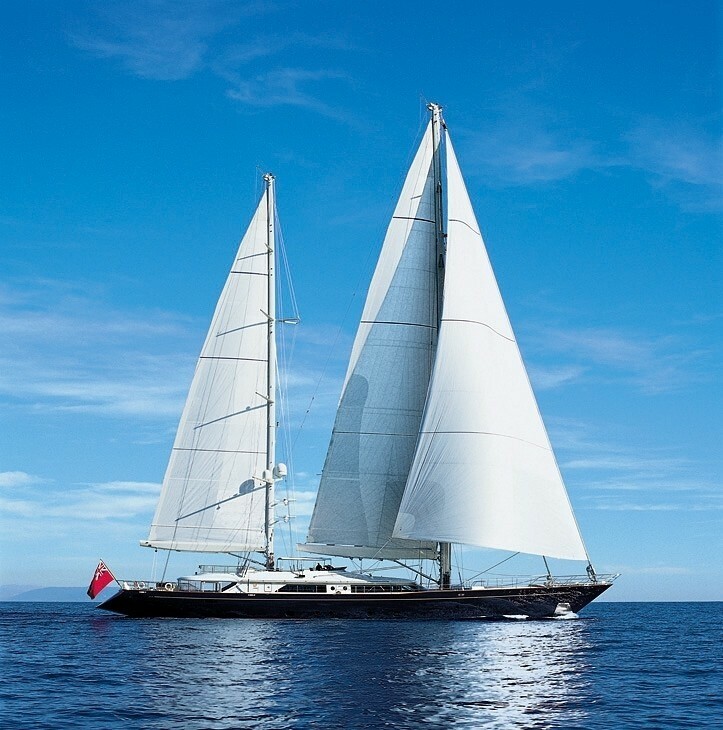 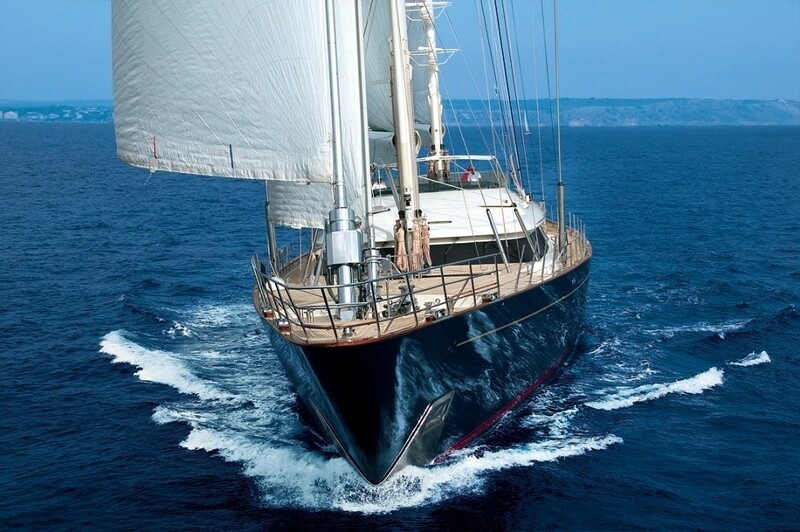 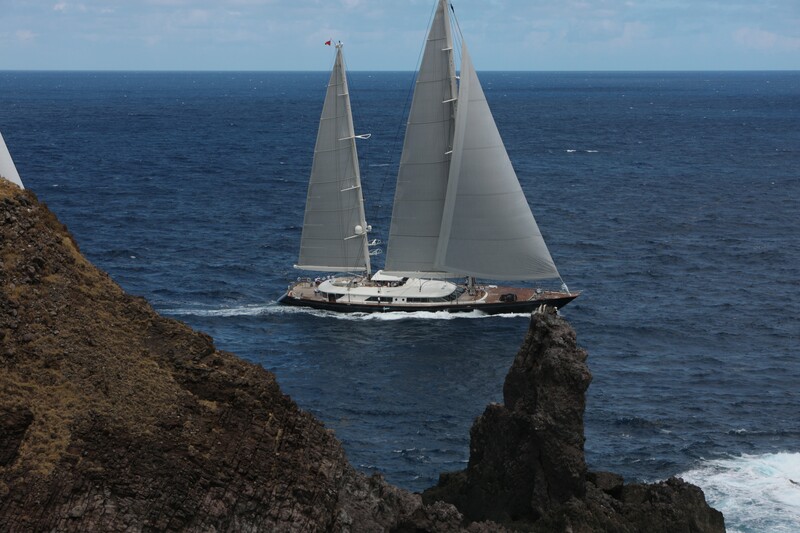 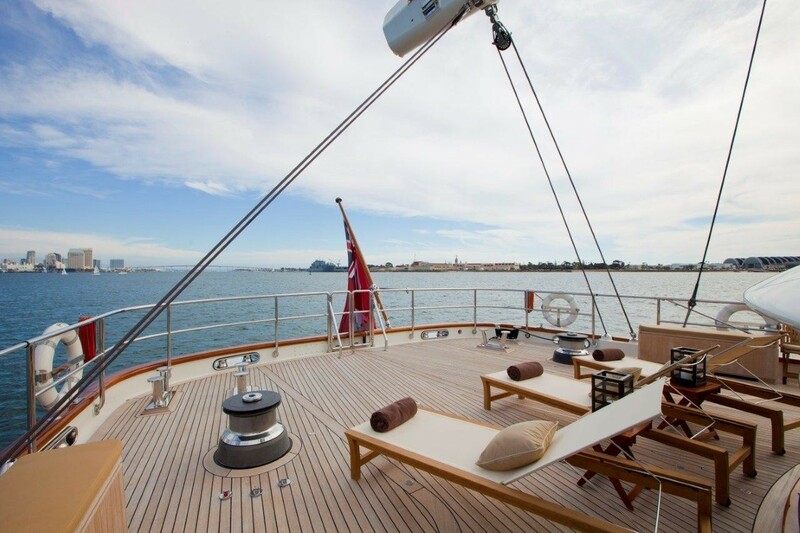 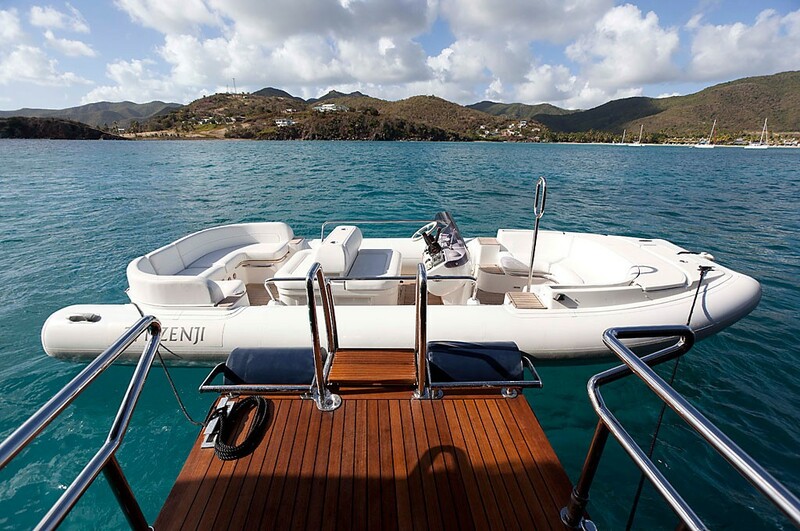 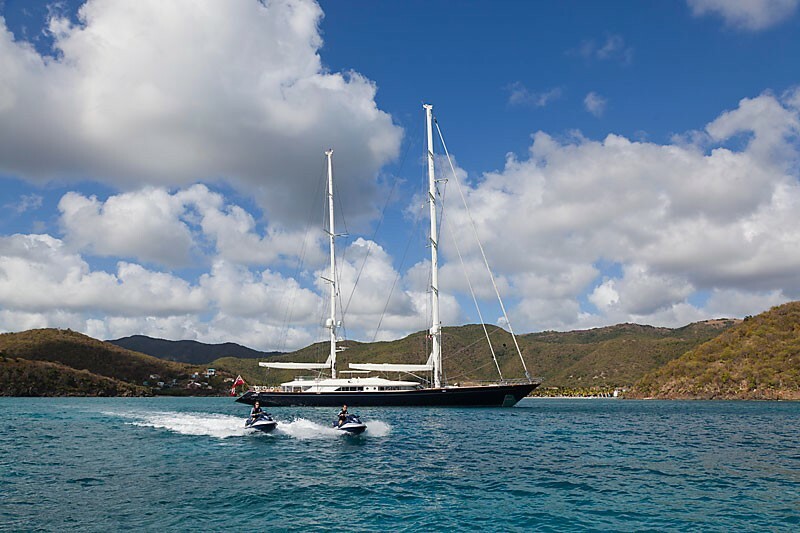 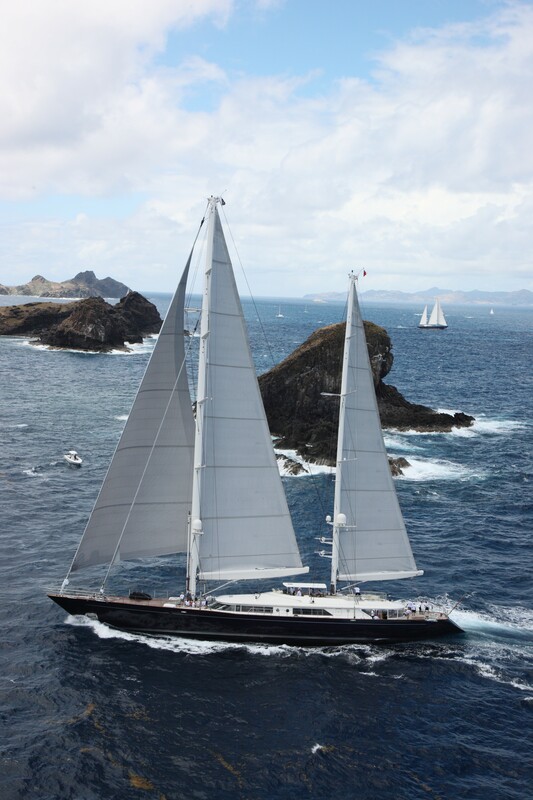 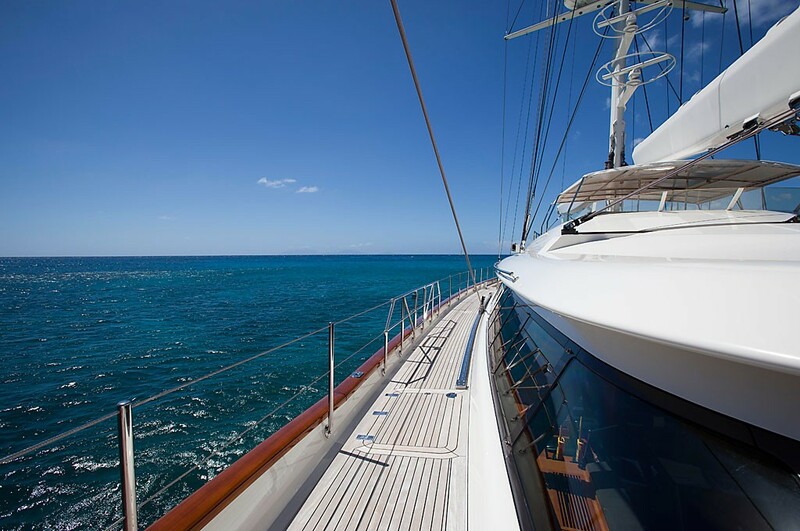 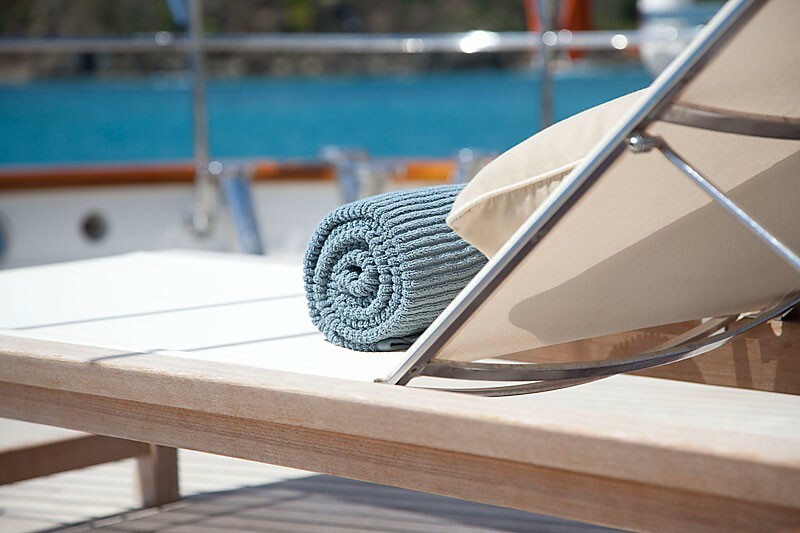 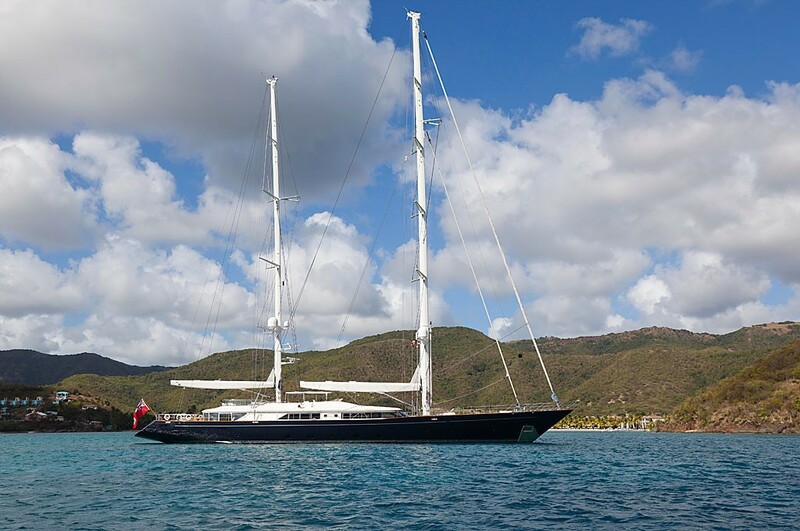 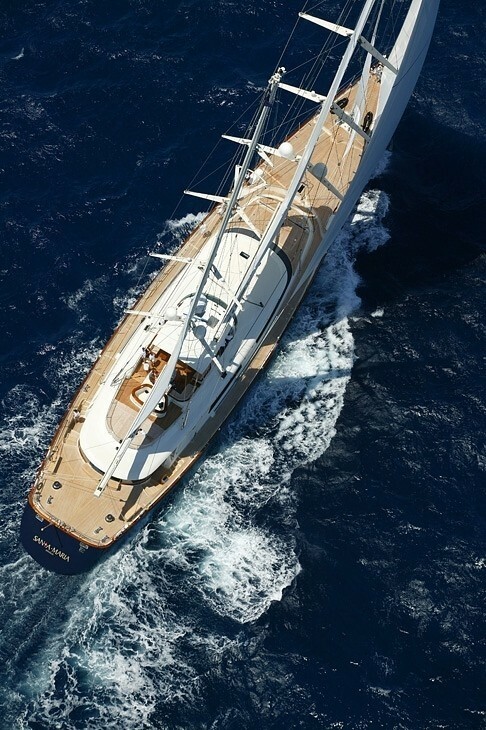 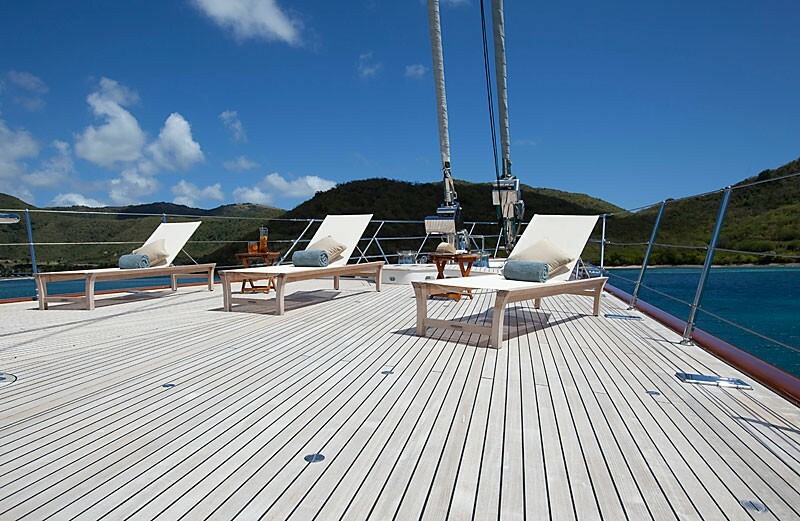 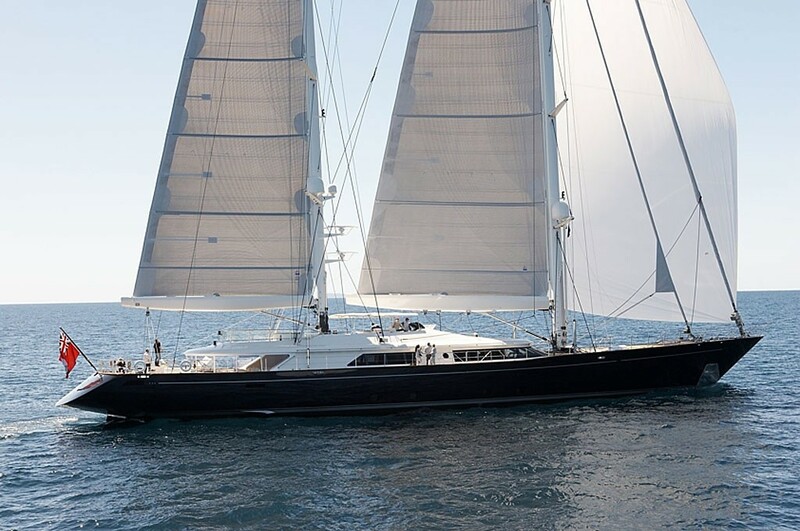 S/Y Zenji is a fantastic addition to the Perini Navi Owner’s Program. 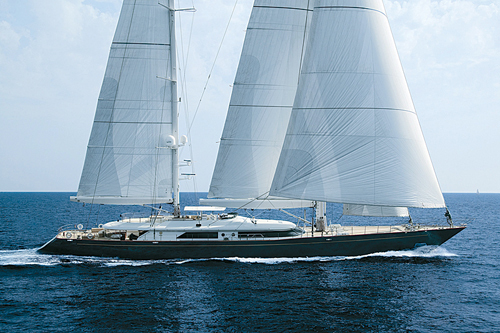 She is a 56 meter masterpiece designed by Ron Holland and built from aluminum. 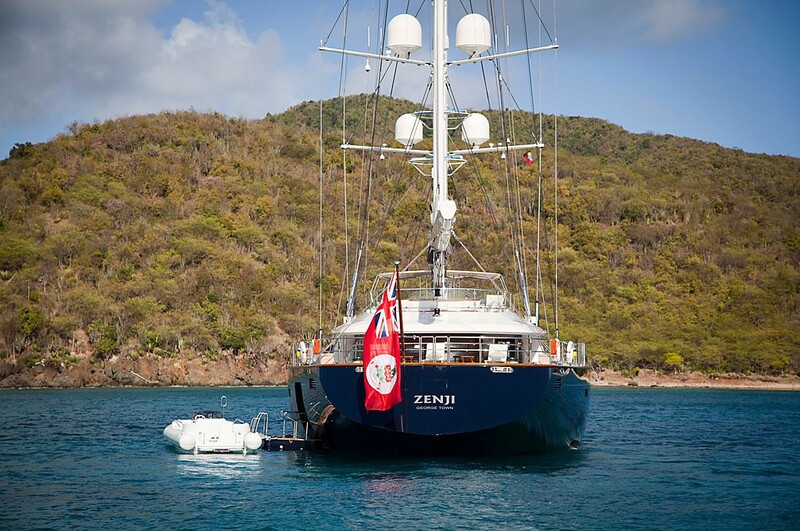 Zenji's six superb suites provide superb accommodation for up to 12 guests. 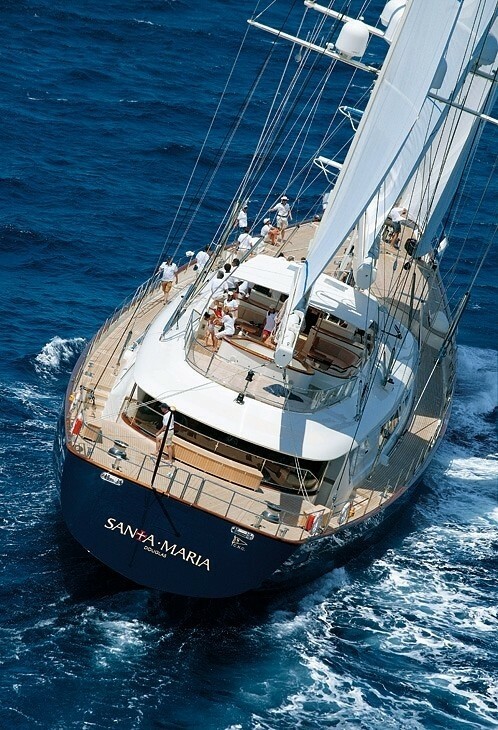 She is available for yacht charters throughout the Western Mediterranean and the Caribbean waterways. S/Y Zenji (ex 'Santa Maria') boasts concentrated technology, is outfitted with servo-assisted sail control and furling, twin-screw propulsion, captive reel winches, Perini Navi aluminium masts, and the latest in carbon fibre boom furling for her mainsail and mizzen. 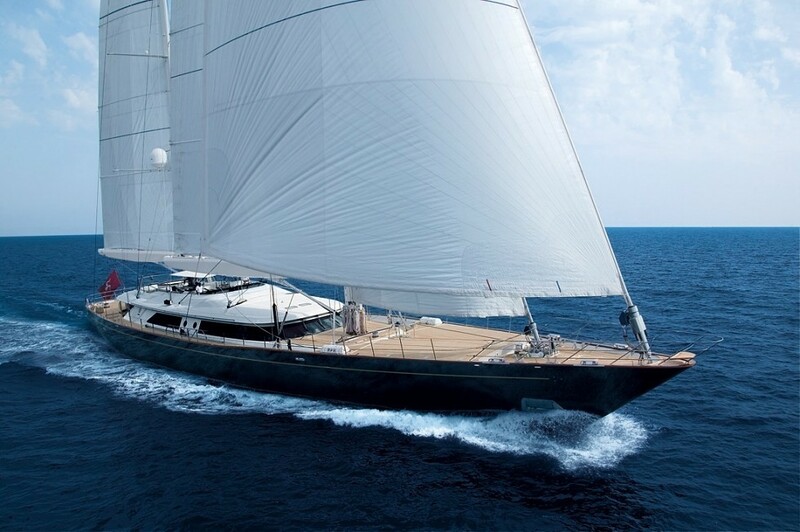 Her hull features sheer line, overhangs, and flying bridge which have become hallmarks of Perini’s aesthetic style. 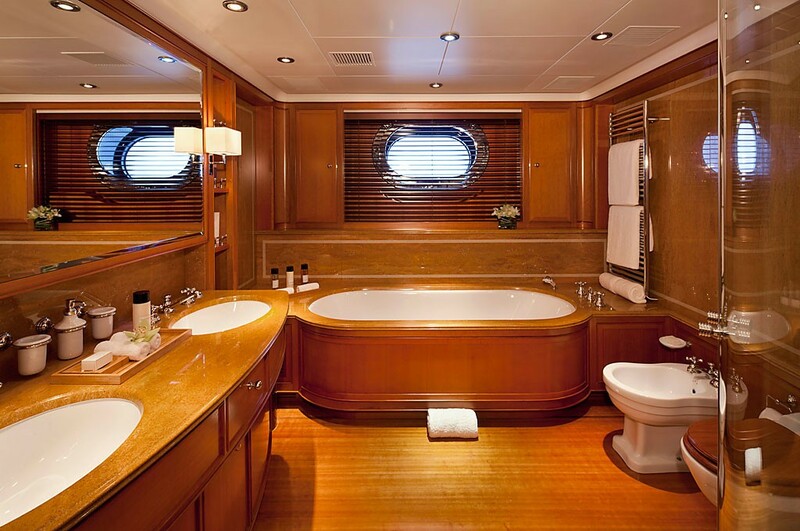 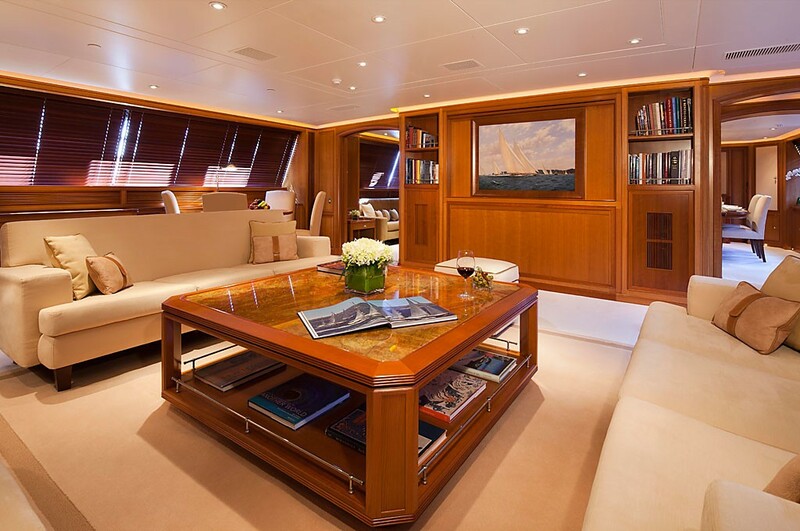 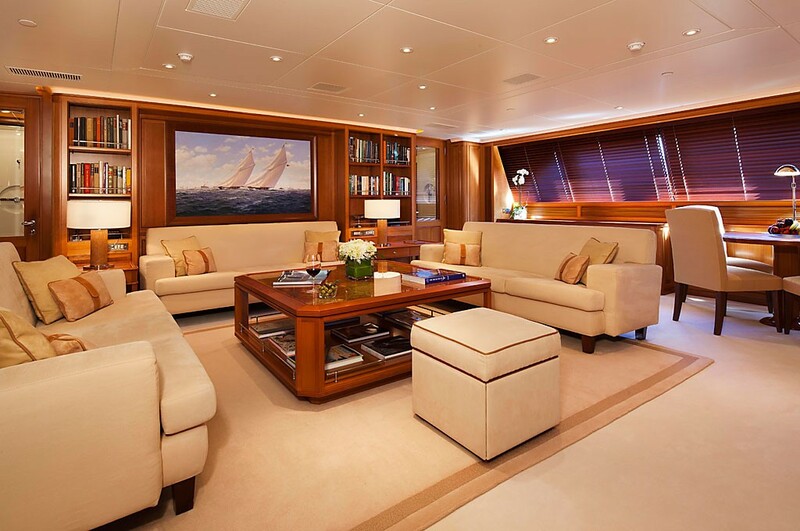 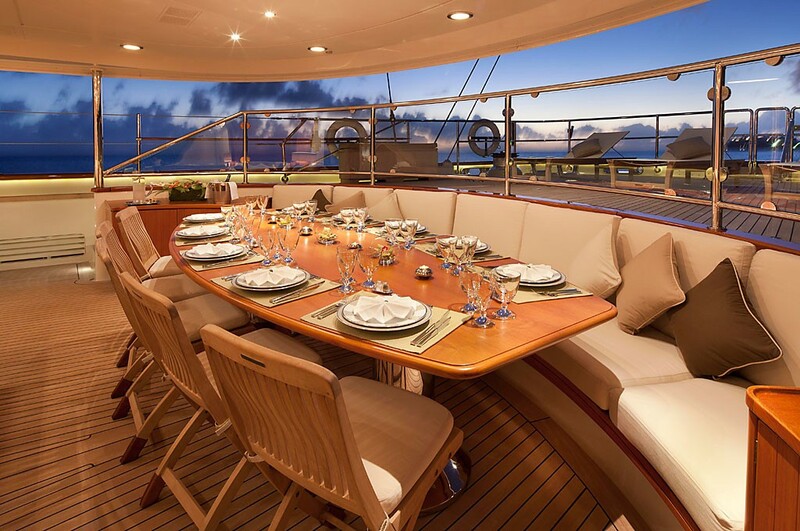 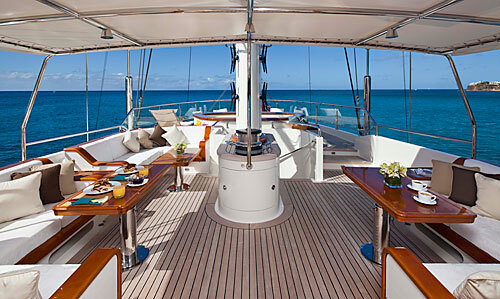 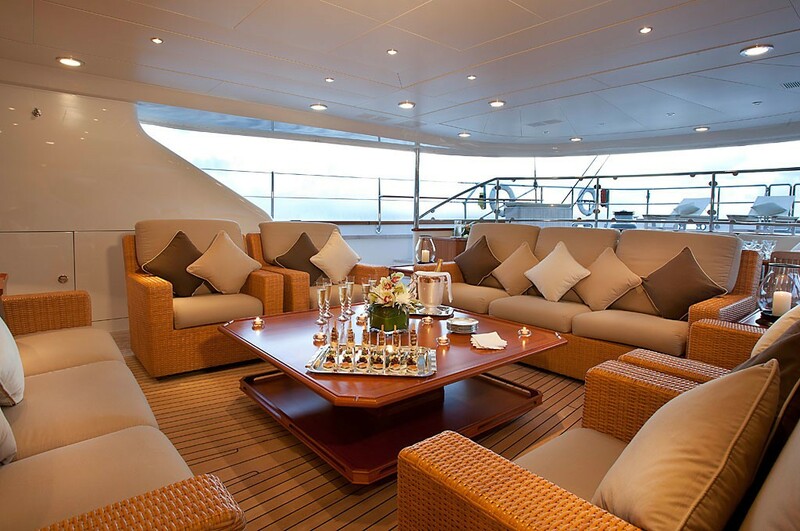 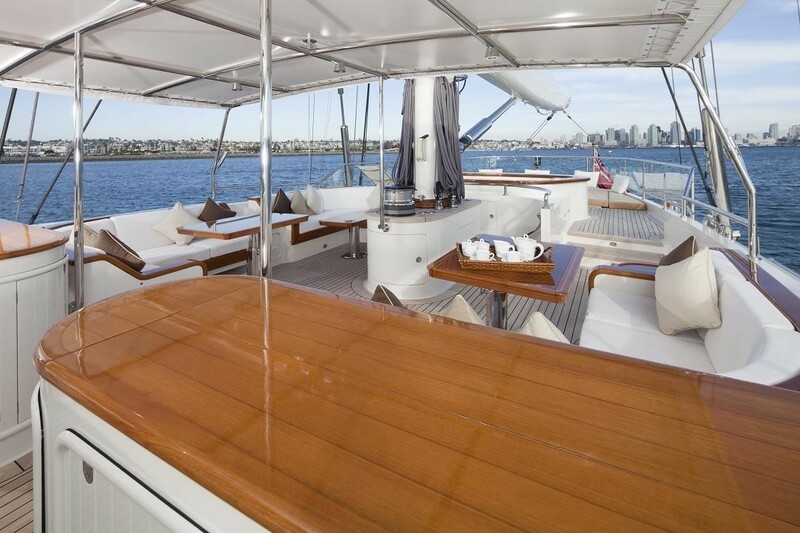 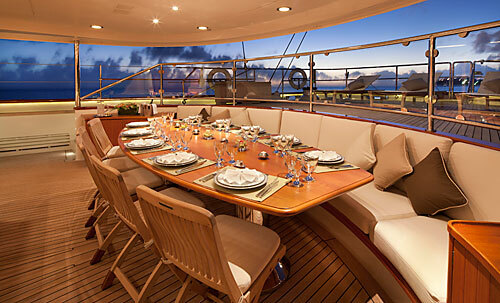 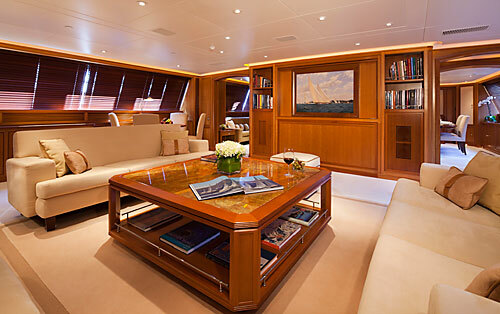 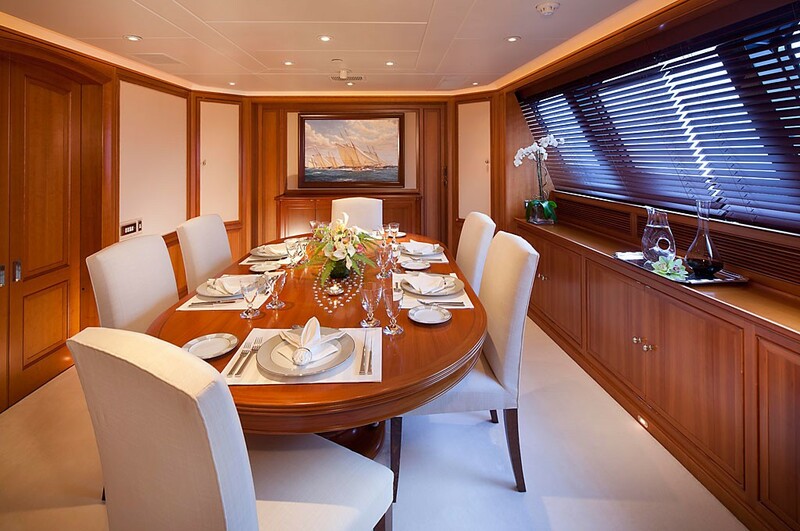 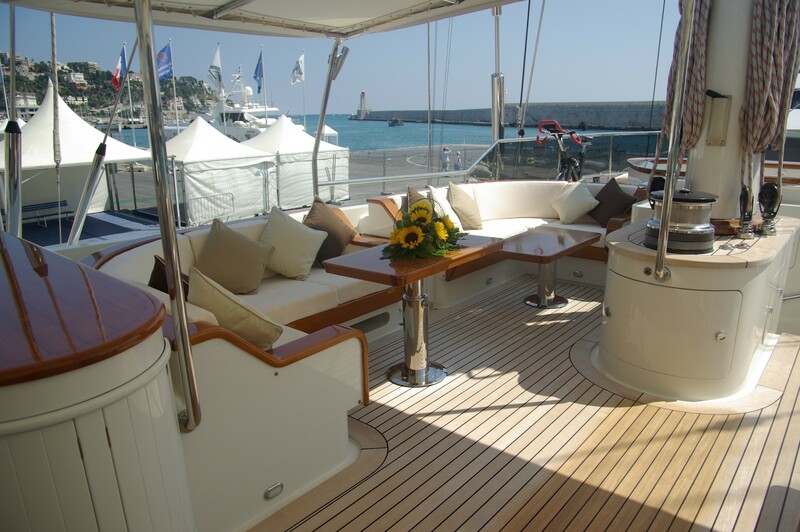 The yacht’s main deck includes a small office as well as a spacious saloon and an enclosed dining area. 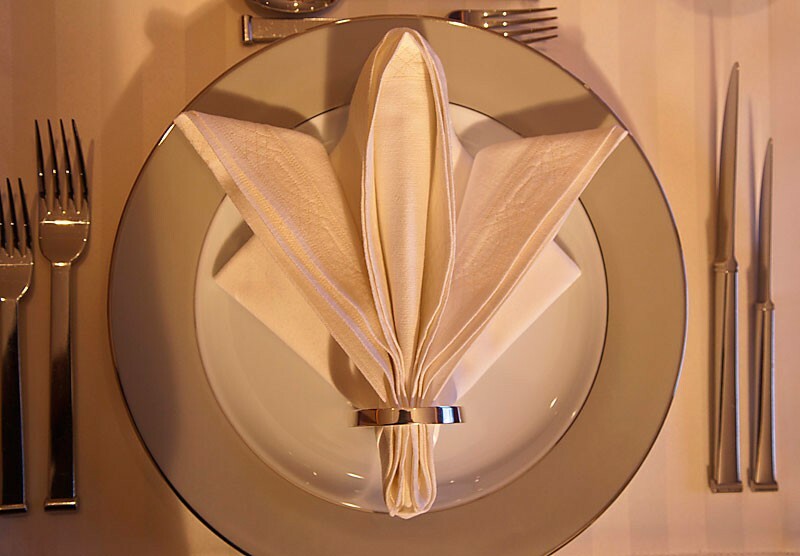 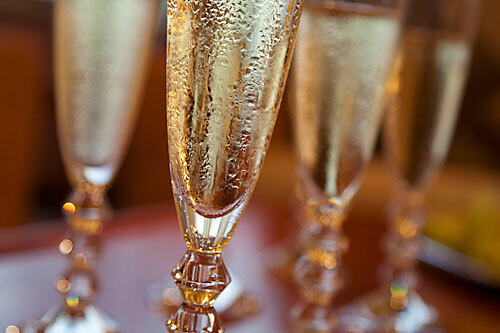 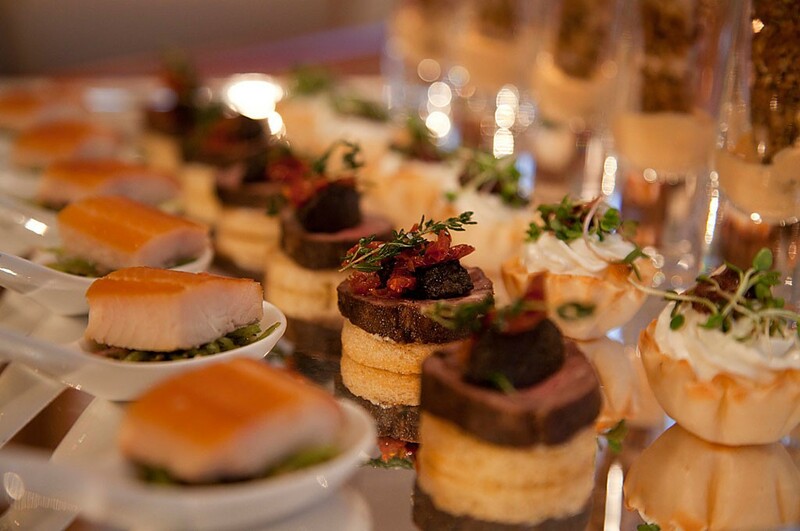 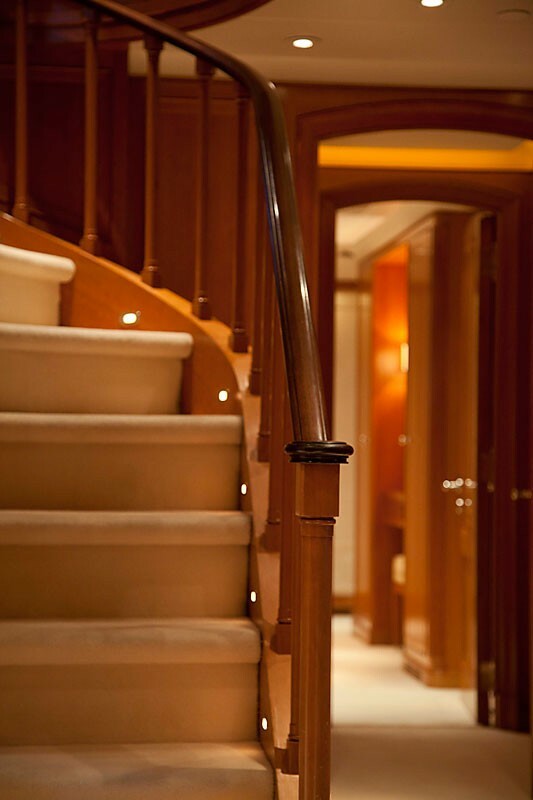 Zenji's interior design is an original combination of classical marine tradition and contemporary elegance. 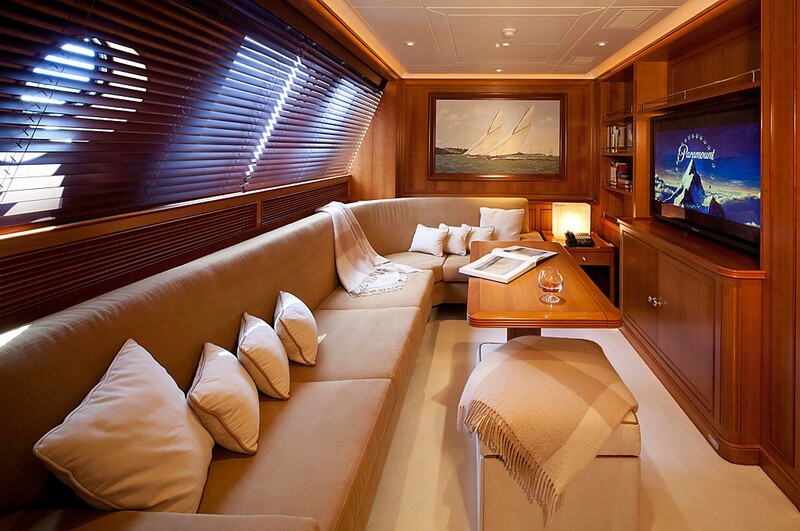 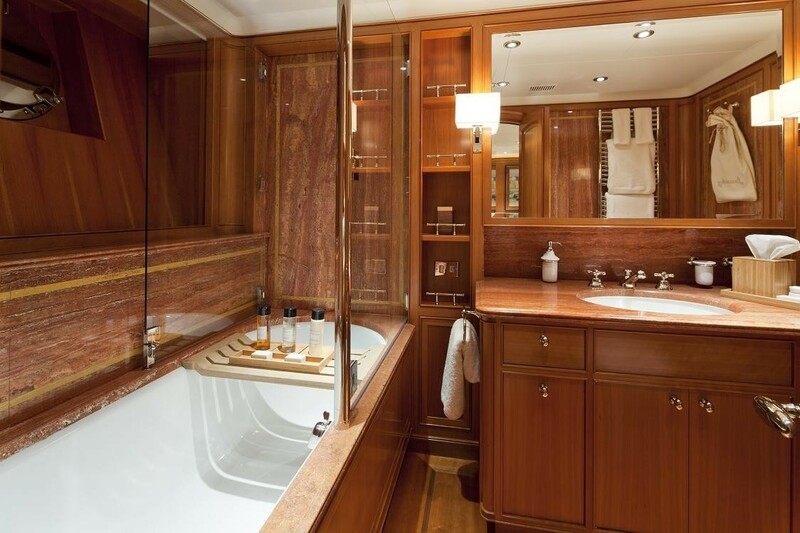 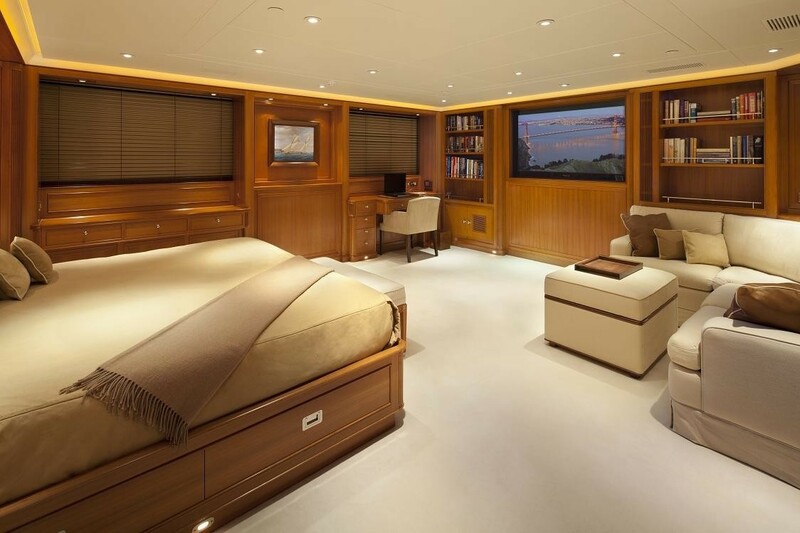 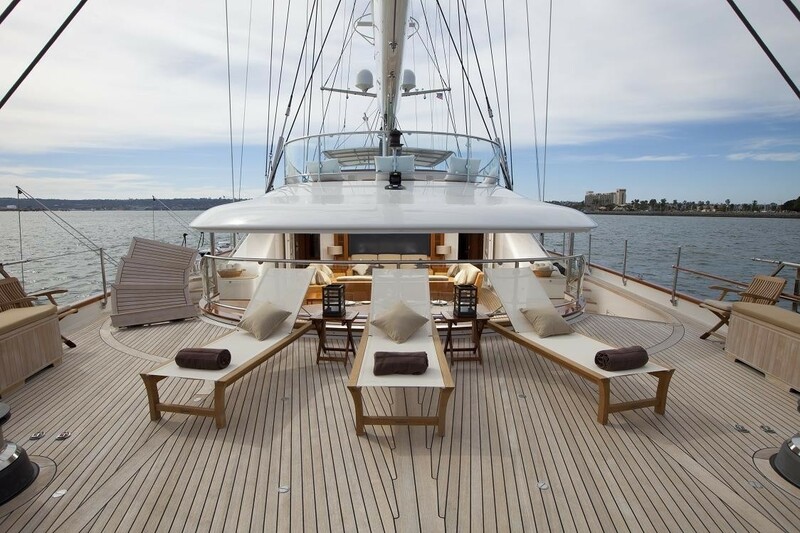 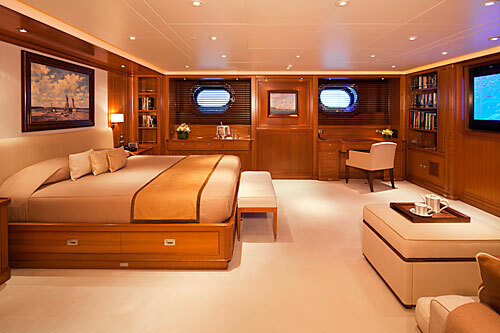 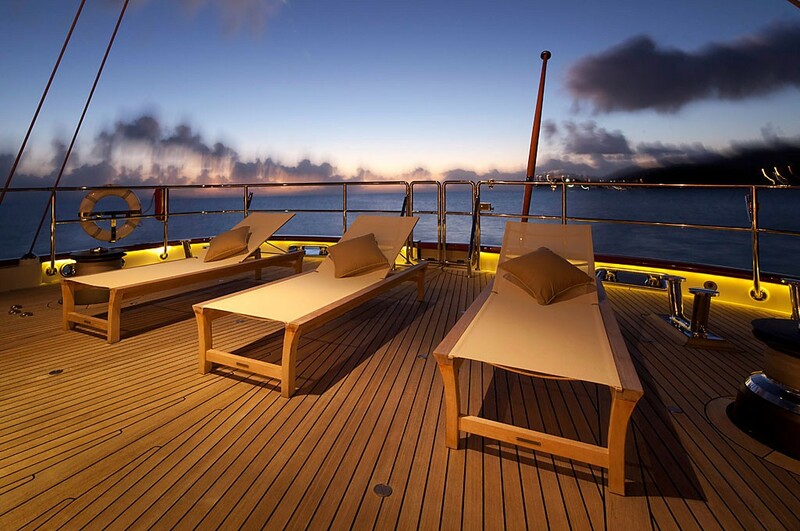 The innovative use of interior space and materials further enhances the traditional Perini Navi comfort. 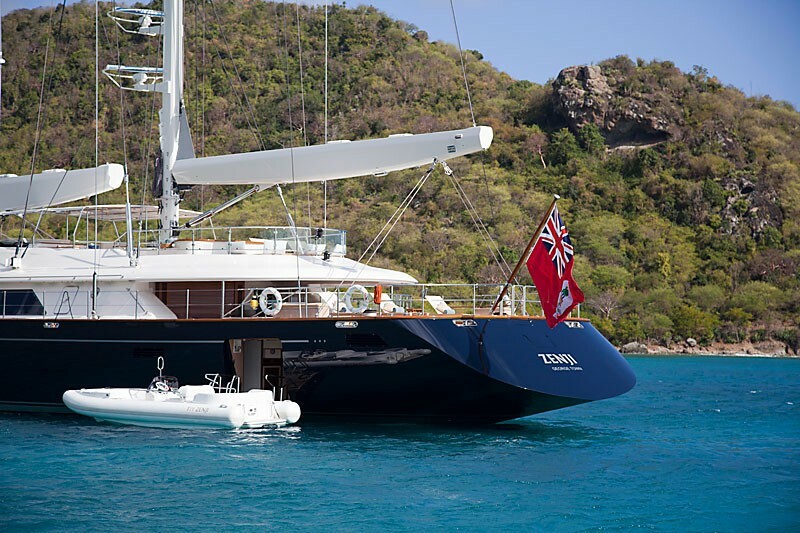 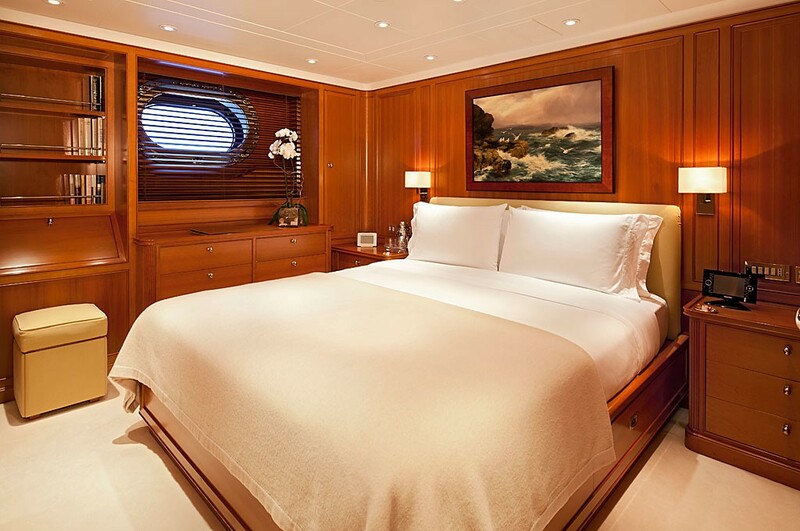 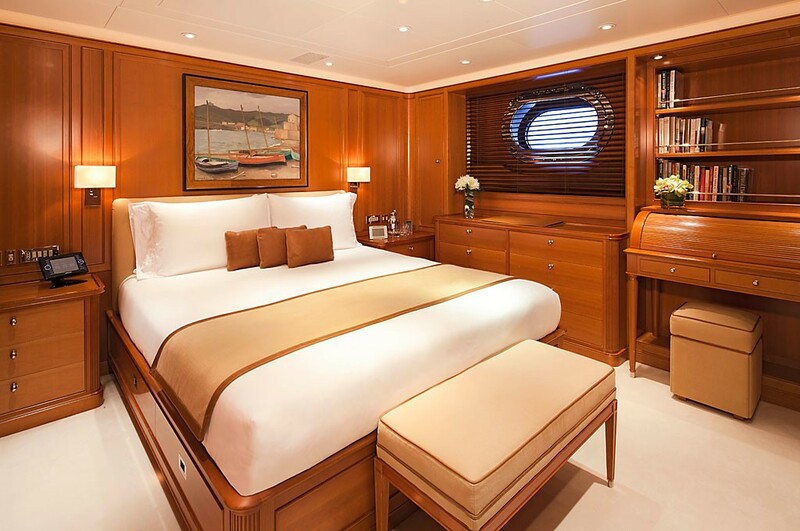 Luxury sailing yacht Zenji offers accommodation for up to 12 charter guests in 6 cabins in the following arrangement: She has a Master Suit with a King bed and ensuite with Tub and a separate stall shower. 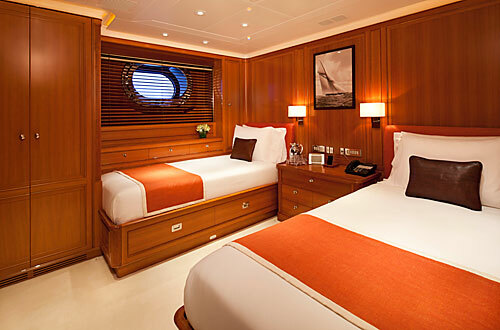 There are two VIP guest suites, each with Queen sized bed, ensuite (one has a tub). 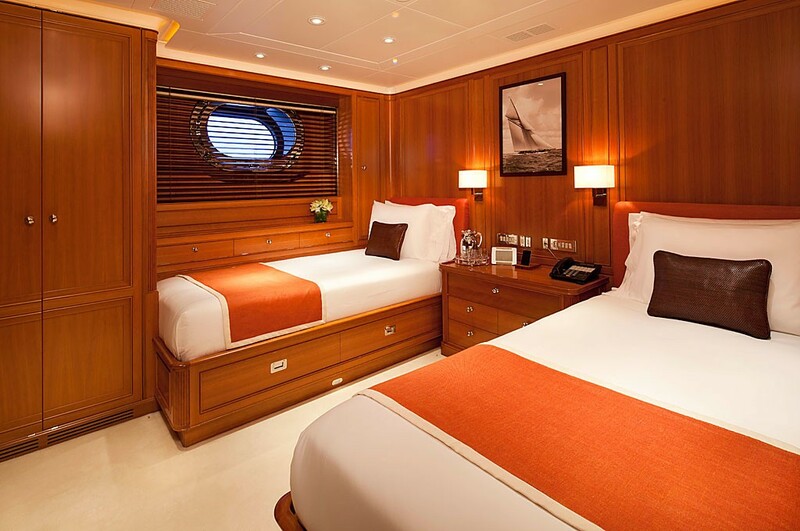 There are a further two guest cabins with lower twin beds, each with ensuites and sixth cabin offers upper and lower berths and an ensuite. 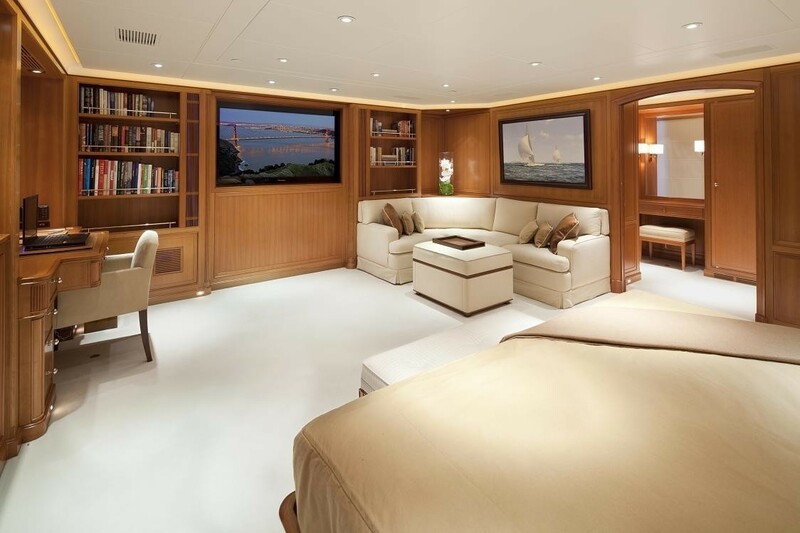 All of Zenji's cabins have Flat screen TVs and a DVD player. 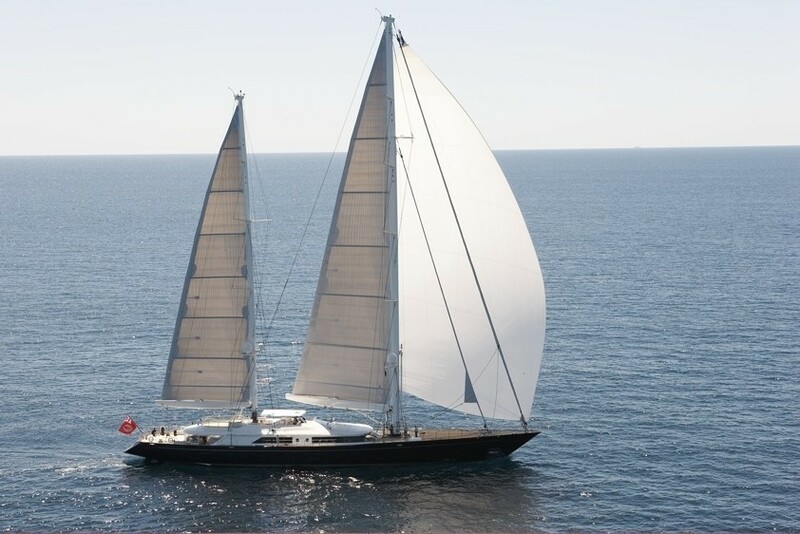 Luxury sailing yacht Zenji (ex 'Santa Maria') charterers with the following tenders, extras and amenities: 1 x 21’ (6.4m) Custom Castoldi Jet with 230 HP Yanmar Diesel engines stored forward in tender bays under teak deck. 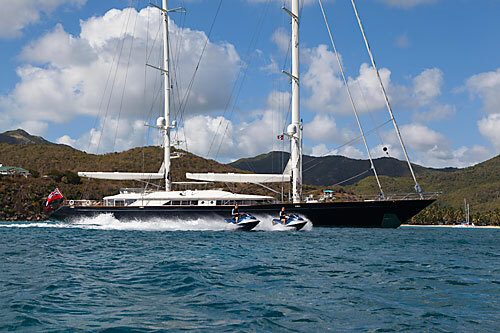 TOYS: 2 x double kayaks, 2 x Yamaha XLT 1200 Jet Ski, 2 Standup Paddle Boards. 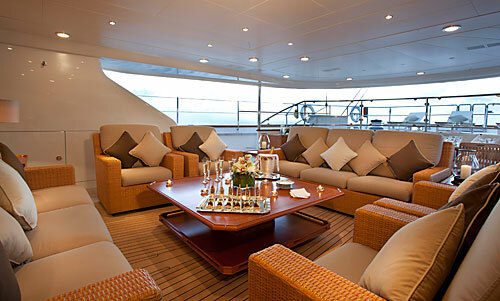 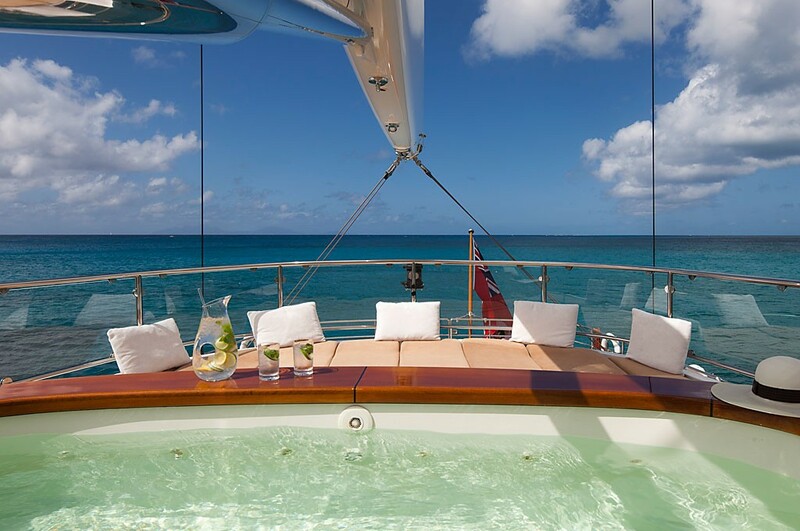 Audio Visual Equipment and Deck Facilities includes a 60 inch Sony Vega Flat screen in the yacht's main salon, a 55 inch Flat Screen Plasma in the aft cockpit, a 42 inch flat screen, hi-def plasma in on deck den/office, and Flat screens in all guest cabins. 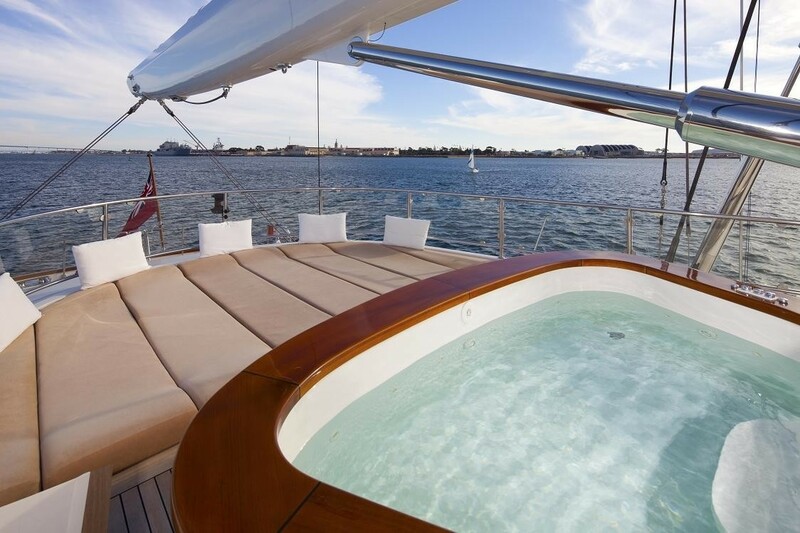 There is a Spa Pool hot pool on the fly bridge. 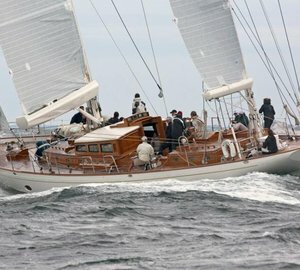 Broadband internet system with two SeaTel 4003 w/dual antennas to eliminate mast shadows, a NERA Fleet 33 (crew), two NERA Fleet 77s, a Sat-Com “C” Furuno, two GSM Cell phones Systems.